The combination of overeating and sedentary lifestyle promote weight gain and obesity with all the ensuing consequences. In the constant struggle with obesity and related disorders, various strategies have proven useful in activating thermogenesis in brown adipose tissue (BAT) and energy expenditure of the whole body (EE24h), taking advantage of the activation of the sympathetic nervous system, such as physical activity, exposure to cold for short periods, the use of certain classes of chemicals, including thermogenic agents, the supplementation with specific vitamins and minerals, and adequate nutrition. 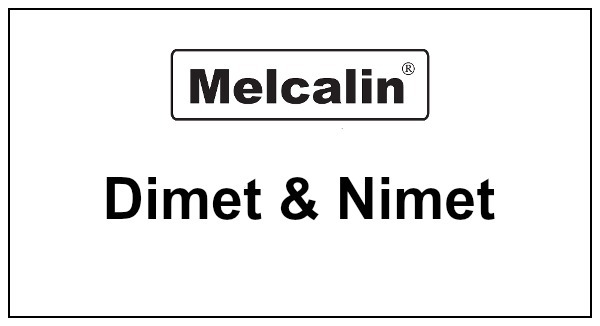 Melcalin Dimet and Melcalin Nimet are supplements that, in different ways, assist diet and physical therapies to improve patient well-being (see TAM: alkalizing and Metabolic Therapy – for the recovery of medically unexplained symptoms – MUS). metabolism and body weight control. Several thermogenic agents have been studied including caffeine, the p-synephrine (bitter orange extract), capsaicin and the chlorogenic acid (green coffee bean extract)29. Capsaicin and not spicy analogues (Capsinoids) are substances that increase energy expenditure and promote the reduction of body fat; in particular the Capsinoids activate the thermogenesis of brown adipose tissue (BAT) and the energy expenditure of the whole body (EE24h)30; a study on healthy men aged between 20 and 32 years, confirmed this trough the measurement of energy expenditure of the body and skin temperature which increased after oral ingestion of Capsinoids (9 mg) thanks to activation of BAT31,34; the action mechanism trough which the brown adipose tissue (BAT) is activated is linked to the fact that the Capsinoids activate the TRPV1 channel which is located in the upper digestive tract that leads to an increase in the activity of the sympathetic nerve to the BAT. the central nervous system (impulsive stimulation of the sympathetic nervous system) and increases the metabolic rate33. The brown adipose tissue (BAT) is activated by exposure to acute cold; this type of adipose tissue is a regulator of energy expenditure and of body fat therefore represents a promising target in the fight against obesity and related disorders32. A study, whose purpose was to compare the usage of the substrates during physical activity in a cold environment (-10 degrees) and hot environment (22 degrees), it was found that the total energy expenditure and fat usage during exercise was greater in cold environment35. The latest research clearly indicate that high intensity interval training (HIIT) can be more efficient in reducing subcutaneous fat, abdominal fat and IMAT than other types of exercise. It has been noticed that a regular HIIT activity is able to reduce significantly the insulin resistance and increase the capacity of skeletal muscle mass to oxidize acids fats36. In addition, physical activity stimulates the production of irisin, a hormone able to operate the molecular mechanism called “browning” consisting in the conversion of the white adipose cell into beige and, especially with HIIT, leads to an adequate activation of the sympathetic nervous system; it has also been shown that exercise combined with exposure to cold is vital to stimulate BAT. Vitamins play an essential role in reactions that affect the metabolism of proteins, lipids and carbohydrates: lipid metabolism is affected by vitamins such as vitamin B1 (thiamine) 1 as well as by folates and vitamins B6 and B12; the deficiency of these vitamins has an atherogenic effect resulting in a significant increase in lipid deposition in the aortic adventitia; studies carried out on the activity of vitamin B6 have revealed that the intake of high doses of pyridoxine by individuals with a diet high in fat and cholesterol determines the decrease of the concentration of lipids3,4,5. Riboflavin (B2) is converted into coenzymes that are involved in the synthesis of fatty acids while vitamin C can significantly decrease cholesterol values ​​in serum and encourage the transformation of cholesterol into bile acids6,7. Niacin can be very effective in order to reduce LDL, cholesterol and triglyceride levels and to increase HDL values: it was found that its administration in combination with lipid-lowering drugs (for example, bile acid sequestrants) reduced the incidence of cardiovascular events and slowed the progression of coronary heart injuries 8,9. The B group vitamins are also essential for the metabolism of carbohydrates, in fact, help to convert carbohydrates into energy (ATP)10: a deficiency of vitamin B1 (thiamine) determines complications similar to those that occur in metabolic syndrome as endothelial dysfunction. The administration of thiamine, in deficient subjects, can prevent formation of harmful by-products of glucose metabolism, reduce oxidative stress and improve endothelial function11, while administration of vitamin B12 lowers blood sugar. The vitamins of the B group are also involved in protein metabolism: many amino acid reactions depend on the presence of vitamin B6, because this vitamin is involved in transport of amino acids to the cells, assists in the construction of amino acids along with other enzymes and is involved in the synthesis and metabolism choline, methionine, serine, cysteine, tryptophan and niacin12,3. Folate is an other essential nutrient involved in many metabolic processes including the formation of amino acids and the synthesis of nucleotides (DNA)14. Among the minerals involved in carbohydrate metabolism there are zinc15,16, copper and chromium. A dietary low in zinc adversely affects the use of glucose: a deficiency in the diet during pregnancy affects the development of the fetus and the metabolism of carbohydrates. A diet poor in copper results in a reduced insulin response, therefore, the use of glucose by peripheral tissues, and the release of insulin can be affected17,18. Chromium is an essential nutrient involved in the metabolism of carbohydrate and lipid: researches on this direction show that this mineral is able to improve insulin sensitivity and is effective in reducing blood lipids19,20,21. The coenzyme Q10 (CoQ10) is an organic molecule useful for the production of energy28, a deficiency determines disorders of the respiratory tract, which lead to alterations in the energetic metabolism, and also determines a decrease of the mitochondrial membrane potential, which in turn induces apoptosis. L-carnitine is another important factor in cellular energetic metabolism. It is widespread throughout the body but the main concentrations are found in the more active metabolic tissue such as the myocardium and skeletal muscle. The L-carnitine is essential for the transport of long-chain fatty acids across the inner mitochondrial membrane until their oxidation site, where the production of energy in the form of ATP takes place; one of the most important consequences of carnitine deficiency is manifested by the alteration of metabolic pathways which lead to the production of energy 22,23,24.
that low-glycemic load diets are able to prevent diabetes and cardiovascular diseases6,27. The maximum energetic caloric load should take place in the morning between the 6 am and 9 am which is the cortisol acrophase, which coincides with the maximum activity of the thyroid hormones; such strategy is useful both to better address the loads of the day and because the blood insulin stimulation allows the release of testosterone and helps stimulate the peak of the diurnal sympathetic nervous system37. A proper supplementation and a healthy lifestyle that includes proper nutrition and regular physical activity associated with exposure to cold for short periods and the use of certain classes of chemicals such as thermogenic agents, are all effective tools for the loss of fat mass. When you need a combined action of these strategies on lipid carbohydrate and protein metabolism, Melcalin DIMET constitutes a valuable support thanks to its content of B group vitamins (B1, B2, B6 and B12 together to pantothenic acid and niacin) and folic acid, in addition to minerals such as iodine, magnesium and chromium, which have as a target respectively thyroid function, the muscular and nervous and glucose metabolism while Melcalin Nimet combines the properties of Coenzyme Q10 and L-carnitine to those minerals such as copper and zinc, interested in cellular respiration reactions and DNA and RNA replication; this formulation is useful to ensure sufficient energy production, a decrease in tiredness and an improvement of skeletal muscle mass (see Skeletal muscle, T-score, S-score, IMAT, FM – BIA-ACC BioTekna). Mol Nutr Food Res. 2012 Jul;56(7):1122-30. Epub 2012 May 18. Nutritional B vitamin deficiency disrupts lipid metabolism causing accumulation of proatherogenic lipoproteins in the aorta adventitia of ApoE null mice. McNeil CJ, Beattie JH, Gordon MJ, Pirie LP. Int J Vitam Nutr Res. 1994;64(4):263-9. Interaction among dietary vitamin B6, proteins and lipids: effects on liver lipids in rats. Pregnolato P, Maranesi M, Marchetti M, Barzanti, Bergami, Tolomelli B.
Biochim Biophys Acta.2010 Jan;1800(1):6-15. Epub 2009 Oct 28.Niacin improves renal lipid metabolism and slows progression in chronic kidney disease. Cho KH, Kim HJ, Kamanna VS.
Eur J Clin Nutr. 1989 May;43(5):289-309. Vitamin B6 requirements and recommendations.Bender DA. Turk J Med Sci 2006 The effect of zinc Deficiency on zinc status, carbohydrate metabolism and progesterone level in pregnant rats. J Nutr Biochem nov 2003, 14 (11) :648-55. Carbohydrate metabolism in erythrocytes of copper deficient rats. Metabolismo dei carboidrati in eritrociti di ratti carenti di rame. Brooks SP, Cockell KA, Dawson BA. Metabolism. 2007 Sep;56(9):1233-40. Effect of chromium on carbohydrate and lipid metabolism in a rat model of type 2 diabetes mellitus: the fat-fed, streptozotocin-treated rat. Sahir K, Onderci M, Tuzcu M.
Curr Drug Metab. 2011 Sep;12(7):667-78.L-carnitine–metabolic functions and meaning in humans life.Pekala, Patkowska-Sokoła B, Bodkowski R, Jamroz D, Nowakowski P, Lochyński S, Librowski T.
J Am Diet Assoc. 2010 Dec;110(12):1820-9. Glycemic index, glycemic load, and prevalence of the metabolic syndrome in the cooper center longitudinal study.Finley CE, Barlow CE, Halton TL, Haskell WL. Phytother Res. 2016 May;30(5):732-40. A Review of Natural Stimulant and Non-stimulant Thermogenic Agents.Stohs, Badmaev V.
Curr Opin Lipidol. 2013 Feb;24(1):71-7.doi:10.1097/MOL.0b013e32835a4f40.Capsinoids and related food ingredients activating brown fat thermogenesis and reducing body fat in humans.Saito M, Yoneshiro T.
Am J Clin Nutr. 2012 Apr;95(4):845-50. Nonpungent capsaicin analogs (capsinoids) increase energy expenditure through the activation of brown adipose tissue in humans.Yoneshiro T, Aita S, Kawai Y, Iwanaga T, Saito M.
Med Sci Sports Exerc. 1985 Dec;17(6):673-8.Fat utilization enhanced by exercise in a cold environment.Timmons BA, Araujo J, Thomas TR.